The accuracy of sonic vane anemometers is characterized by the stability of the results over time without maintenance. 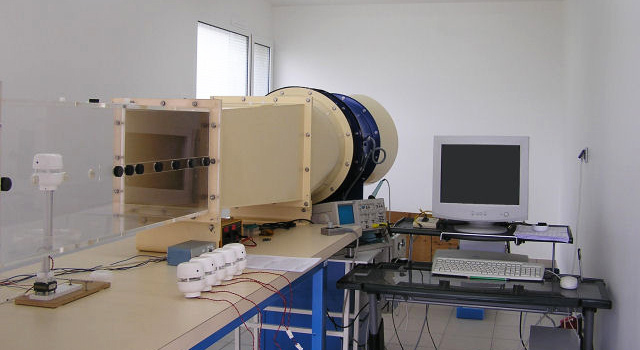 The wind tunnel capacity allows measurements from 2 m/s to 40 m/s (4 nodes to 80 knots). A mechanism controlled by a PC makes it possible to generate the rotation of the sensor. 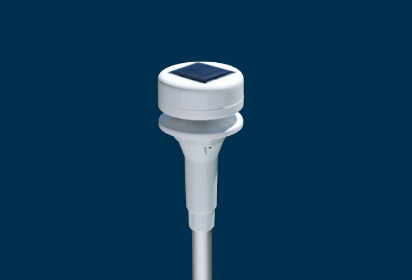 It allows to check the wind vane function simultaneously with the anemometer function. All the sensors are tested in the wind tunnel at 19 knots. Random samples are tested at 4, 10, 15, 30, 40 and 80 knots. We are able to perform test reports at specific wind forces. All sensors are tested in climatic chambers from -10°C to + 50°C for CV3F and from -15°C to + 55°C for CV7. Measurements are taken at extreme temperatures and at + 20°C. The progression of temperature variation is 2°C per minute then stabilization for 1 hour. Random samples are tested on 5 measurement points as well as on thermal shocks. LCJ Sensors products are in compliance with CE standards. Compliance with CEM standards for wind sensor series is validated by an independent laboratory. The CV3F, the first ultrasonic wind sensor developed by the company LCJ Sensors in 2000, has successfully concluded its demonstration phase at sea. After more than a year of endurance on the rear porch of trawlers of Boulogne and Lorient sailing in the North Sea and Sea of Ireland. From 2001 the CV3F showed that it did not fear the sprays, the vibrations or the sea packs. A season on the Figaro “McDonald” by Yannick Lindsay has demonstrated to the racing skippers the advantages of the CV3F, in small time, the slightest strand of air is detected and allows to anticipate the adjustments of the boat and in heavy weather, the absence of parts in Movement provides a great longevity of the wind sensor. LCJ sensors now equips the latest offshore racing sailboats built. Enough to convince the most skeptical about the capacity of ultrasonic technology in the marine environment. Marketed for 12 years, LCJ sensors products have also been proven in many areas such as industry, safety, small wind turbines, or on vehicles or drones. 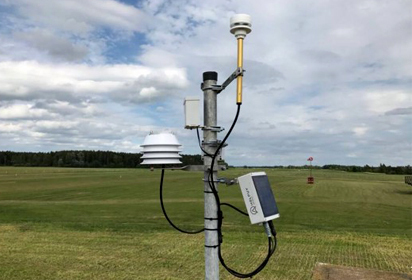 Ce approved, the wind sensors LCJ sensors have been evaluated by the services of Météo-France which confirm the accuracy and the performance of the sensors for even particularly difficult uses.